With the recent announcement of the 2nd Annual TDR Rando Photo Contest, I’ve been itching to show some of my favorite 2010 brevet moments captured on film. You saw my Randonneur Lifestyle favorites, and today I’m displaying the Obligatory Cow Photo/Nature Shots that I thought worthy of sharing. What is the Obligatory Cow Photo/Nature Shot? Seen on almost every brevet, cows captured on film are a must for completing your brevet photo-set. However, all animals are created equal and this category accepts photos of any and all fauna. This year we are broadening the category to include your landscape photos as well. If it’s nature, we want to see it. Personally, I am not the best at getting the Obligatory Cow Photo. They all seem to turn out blurry or too small, have their heads missing, or suffer some other problem. Lucky for me, this category is about more than just cows, or I’d have nothing to show you. This photo, from October, was taken after we had climbed to the High View orchard area in West Virginia. I was so proud of Felkerino and me for clawing our way up there that I felt obligated to memorialize the moment in a photo. 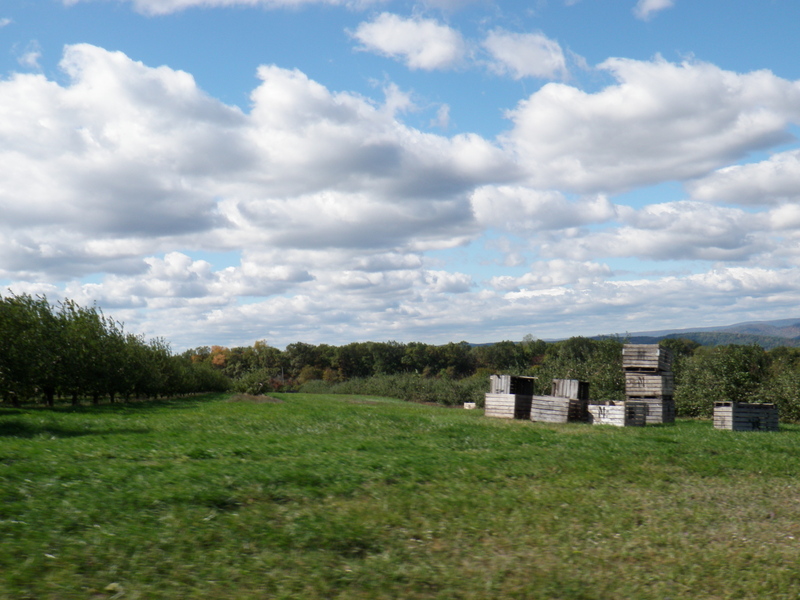 I like the look of the apple crates and the sky was incredible that day. This brevet started in Frederick, Maryland, and took us into Adams County, Pennsylvania. 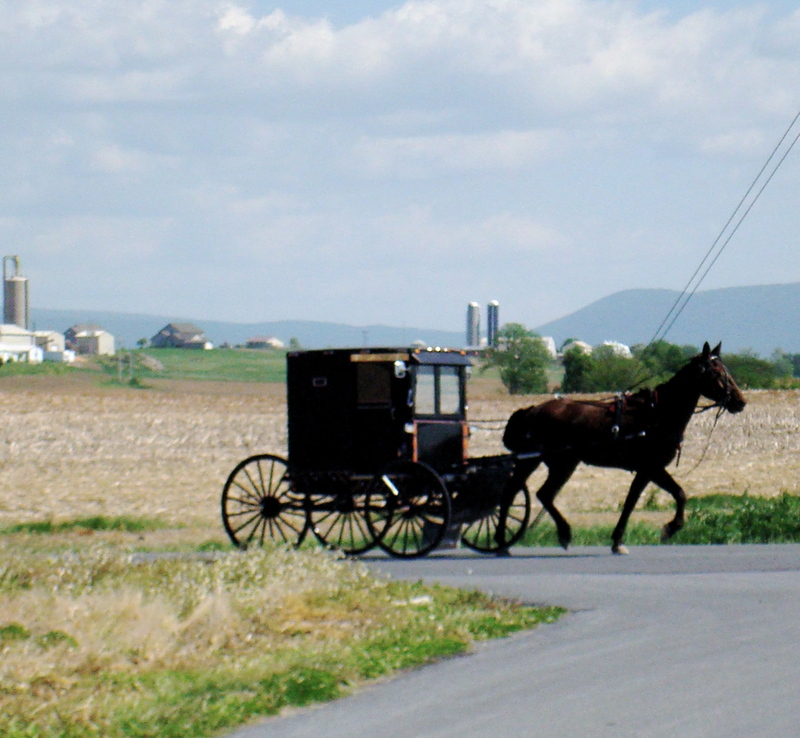 Suddenly we saw a horse-drawn buggy coming our way. I love seeing these, and was happy to have captured the moment, although the picture is slightly blurry. Oops! This picture, taken in November, represents a “this is why we ride” moment for me. We are crossing the Delaware Water Gap. It was a crisp fall day, the sun was just coming up, fall color was in its final glory, and the beauty of the morning overwhelmed me. It was a perfect day to be out on the bike with friends. As I keep saying, I can’t wait to see the 2010 shots from other randonneurs. Please send a brevet memory or two our way: gersemalina “at” gmail.com! 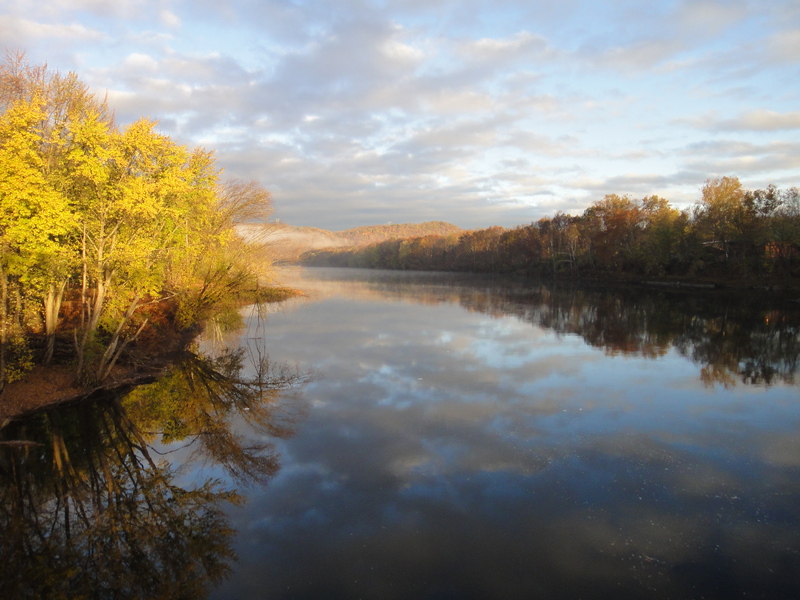 Absolutely gorgeous photo of the the Delaware from the Stillwater 200k – picture postcard material. This one caught my eye back in November when you originally posted it to your Flickr page.